I purchased my CS6000i as my first computerized machine from sewing with a manual one for a long time. I would say that the shift was very easy, as this sewing machine is very user-friendly and only requires a push on a button for tweaking some settings. I already made a lot of projects before, may it be altering my kids’ clothes making pillow cases. I’ve also tried to make seat and bed covers by myself. Thus, I’m happy that my first computerized machine offers a lot of features, I’m still in awe with the things that technology could offer. This computerized machine is equipped with 60 stitches. That’s a lot of choices to choose from. All these could be adjusted by simply pushing some buttons that would be displayed on the LCD screen. This machine is supposed to be portable at 13 pounds, but could still do some quilting work with a detachable quilting table. It sews fast but could also be adjusted to go slower, a good feature for beginners and even experts in sewing. 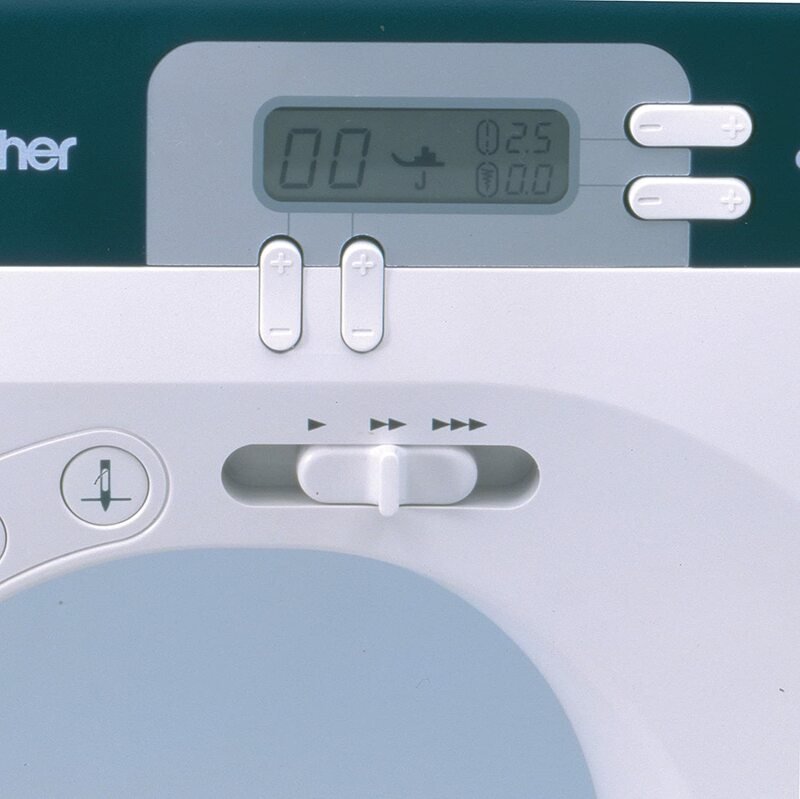 The Brother CS6000i is a fully computerized sewing machine with an LCD screen. 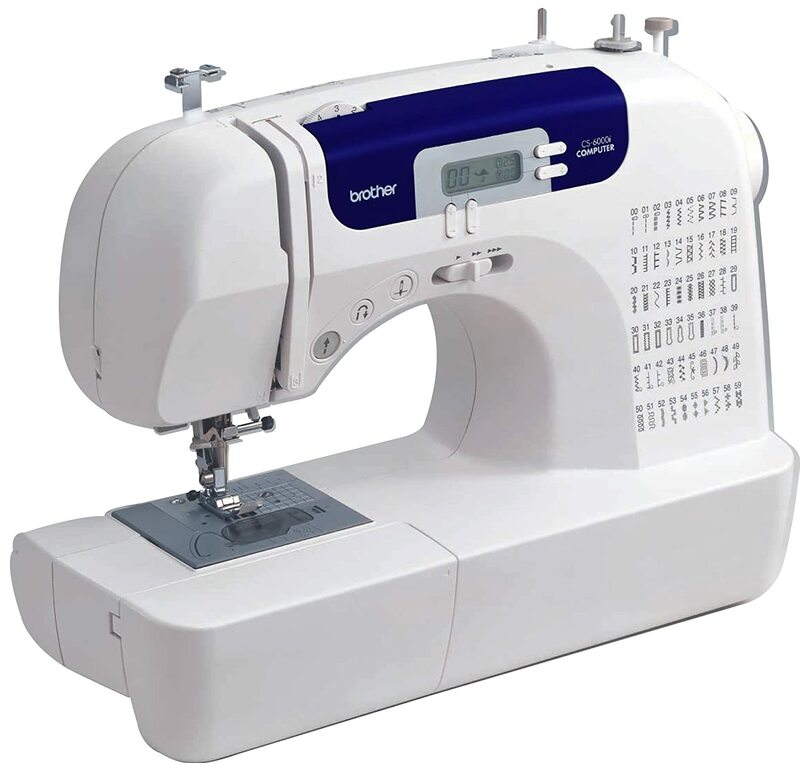 It has push-button sewing, auto-needle threading, 60 built-in stitches, and an extra and wider sewing table for quilting. It has a controllable speed control that could stitch as fast as 850 stitches per minute. It comes with 7 one-step button hole styles and 9 presser feet. As a plus, it also has a hard shell carrying case and a quick start guide manual. Brother CS6000i is often praised for its affordability and performance. One of the best, if not the best computerized sewing machine within its price range. It has 60 pre-installed stitches and even comes with a free quilting table (just a small one) and a hard case. Unlike its close competition, Singer 7258, CS6000i has an edge with its extra quilting table, making it more fit for quilting and does, it is more flexible in terms of project diversity. This machine works fast, but could be adjusted to go slower for beginners. It works quietly, and delivers stitches of good quality. It is also generally very easy to use. Going reverse, adjusting needle up/down, or tweaking the length and width of the stitches are all easily done by a push on a button. I would say that this is very beginner friendly, and delivers a high performance especially for domestic use. It’s also very light and portable. Being made out of plastic, it’s easy to take to classes or for travelling if needed. Each stitch shows what presser foot to use on the LCD screen. That saves time from beginners that could be spent on google-ing or guessing the right presser foot. The biggest con for me would have to be that this is made out of plastic. So far it has remained intact after a year of usage, but I’ve always taken extra care of it. This makes me feel that my money mostly goes to its user-friendly interface and features. 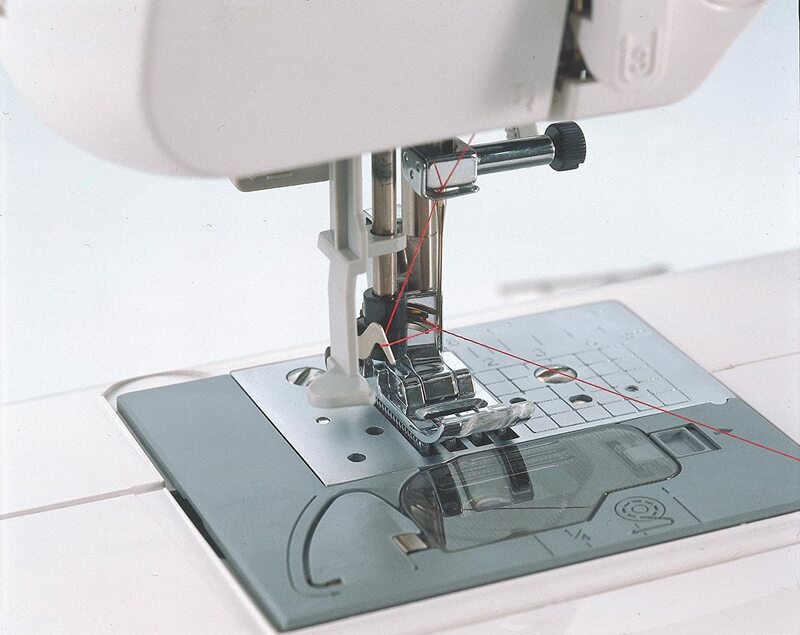 Thus, if you’re only after a basic sewing machine, you could stick to simpler ones with a sturdy metal frame. This isn’t weak, but I’d prefer if it was made out of metal. Due to its light weight, it also has the tendency to shake when working on heavy fabrics. I’ve stopped using this for heavy fabrics now, but I would say that it would help to always put this on a heavy table when working. Also, this machine is prone to bobbin vomit. It usually gets stuck in a knot amidst some project, and this could be annoying if you do sewing a lot. I would also say that this is not best for stitching on heavy fabric. However, this would do the trick for most light fabric and domestic projects. In a nutshell, I would say that Brother CS6000i is a very good choice may it be for beginners or pros, as long as it would only be used for simple projects and light-medium fabric. Otherwise, if you require projects for leather or thick denim and other heavy fabrics, you may choose more sturdy ones in the market.